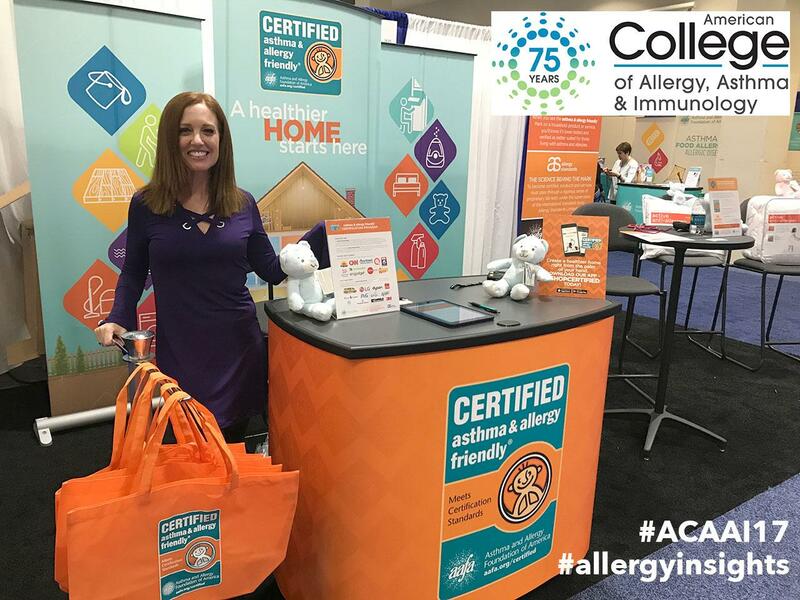 This year again our asthma & allergy friendly®®certification program was strongly featured throughout the exhibition hall at the Annual Scientific Meeting organised by the American College of Allergy, Asthma and Immunology (ACAAI). The program of this year’s meeting focused on the latest scientific innovations in the allergy research field and the newest evidenced-based medicine that can be applied to daily practices. For the occasion, Courtney Sunna and Michele Cassalia both representing the asthma & allergy friendly®® Certification Program were able to showcase some of the products that have earned the certification such as products from Dyson, National Allergy and Rabbit Air. With the growing importance of the certification program and the many more new clients that earned the certification in 2017, it is a great opportunity for us to showcase our certified products and interact with physicians and doctors. We took this opportunity to run a survey among the physicians who attended the Annual Scientific Meeting and the results show some very interesting insights on the asthma & allergy friendly®® Certification Program. 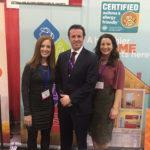 75% of the physicians surveyed have seen the Certification mark on products in stores. use quality bedding that is an effective allergen barrier.